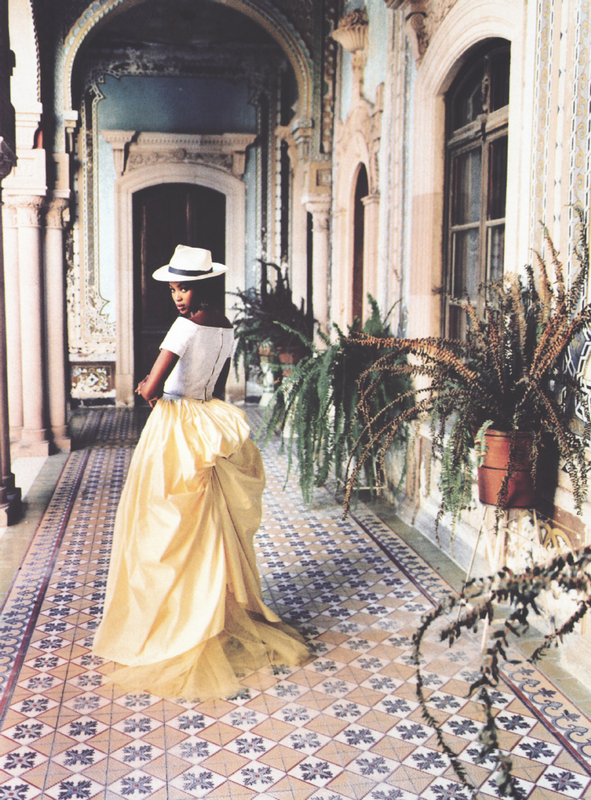 Naomi Campbell photographed by Ellen Von Unwerth for the March 1998 issue of Vogue. As they say, when in Rome, do as the Romans do. So I suppose one could also translate this to when in South America; yet more along the lines of a homage to South American culture and its powerful icons. 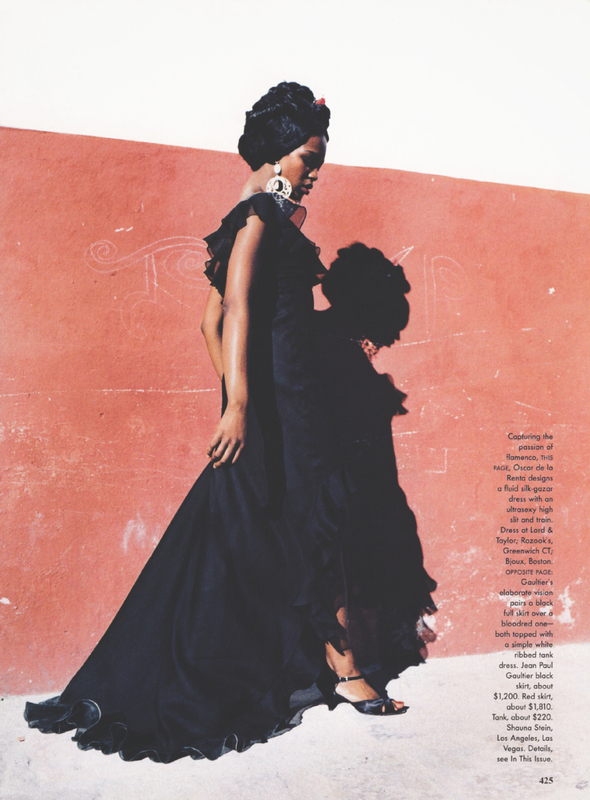 In truth it is an actual celebration of all things South American, an editorial which is full of whimsy and seductive romance. 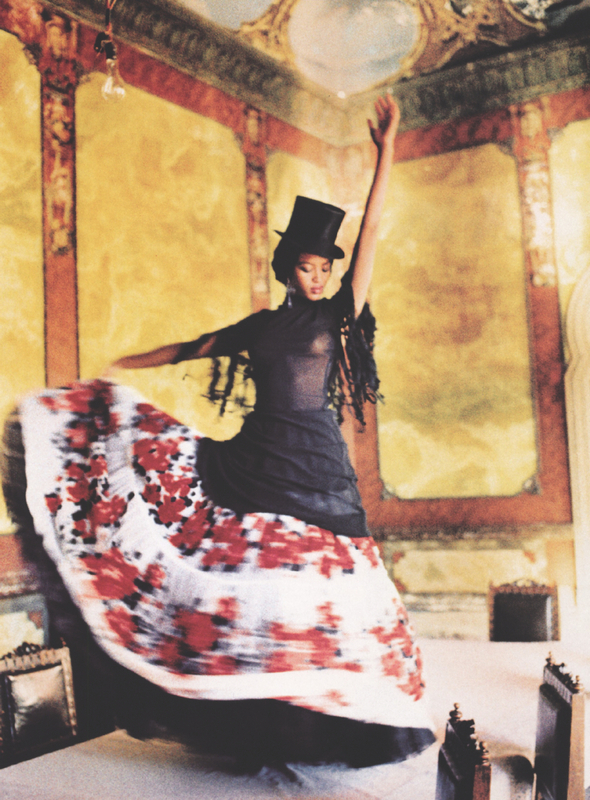 Visually eulogising symbols such as the Flamenco, Mariachi and Frida Kahlo, embodied and amalgamated with an air of a Tim Burton production; one starring Naomi Campbell as the lead. 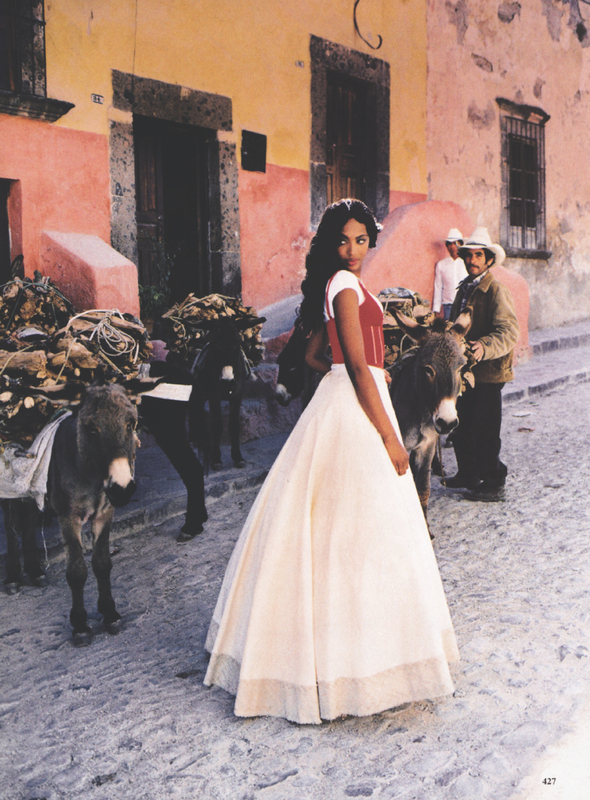 Truly the epitome of exotic fantasy, one which sees parading in a Marchesa gown or Costarellos full tulle skirt completely the norm. At least the kind of norm I wouldn’t mind in the slightest. If I am completely honest, I couldn’t tell you the last time I picked up a magazine, nor felt compelled or inspired by an editorial of late. And if I go further in my truth, I can’t honestly recall the last time I actually opened up a magazine either. Despite loyally purchasing issue, after issue no less. I blame this indifference on time constraints and no longer having the space to lounge and devour effervescently inspiring photography as I used to. Another problem is that I find myself disinterested and find difficulty in being truly inspired. And in having countless inspiration to draw from on a daily basis, I find myself needing to retreat from it all. In a world teeming with influencers and social media a platform to showcase creativity, controversially I feel like true, visionary creativity is invisible amongst a sea of hashtags and algorithms. Don’t get me wrong, I am not hating on influencers nor am I adding more fuel to that fire. In truth I grow tired of such discussions. It is just disheartening that the influence of magazines are fading. That their dominance and direction are becoming exhausted. I simply yearn for those transparent times of the past. 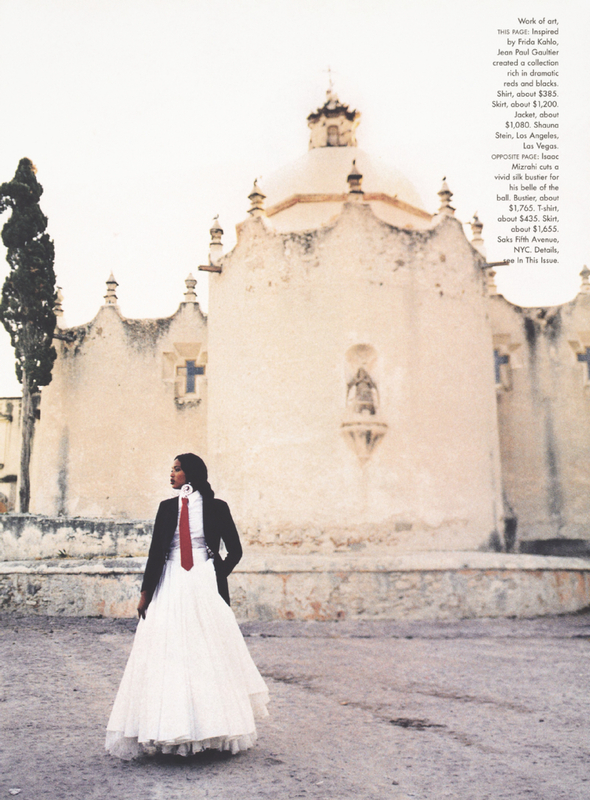 The kind where magazine editorials were full scale productions with creative directors like Grace Coddington pushing boundaries. 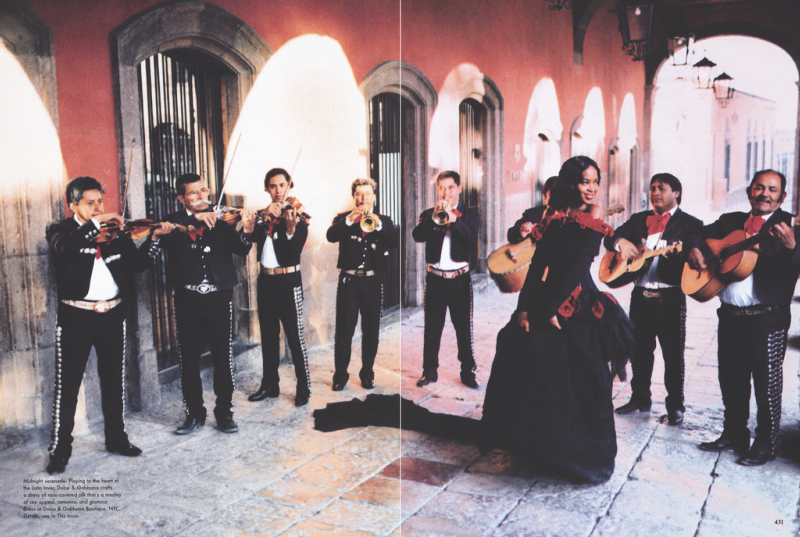 Much like Naomi Campbell for Vogue in 1998. 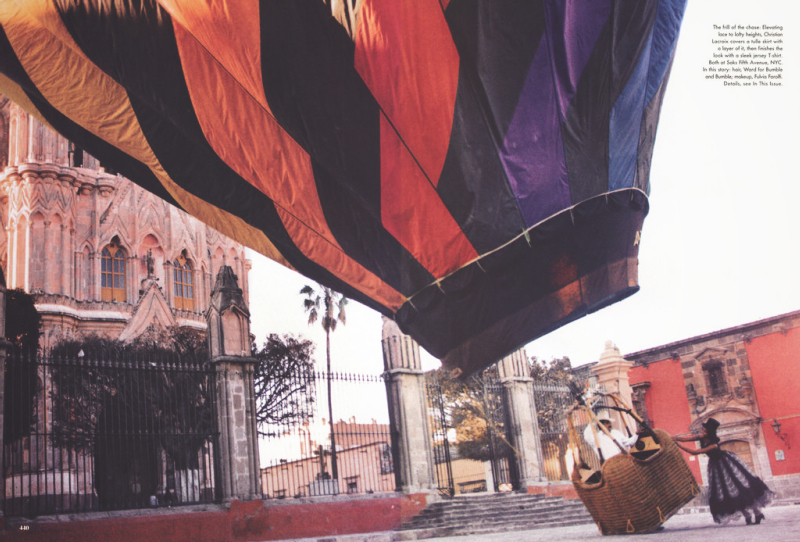 An eccentric formulation with lashings of pearls and a substantial hot air balloon to match and Mariachi Band to match.